In keeping with the tradition of treading a fine line between progressive rock and (post-)metal, Walter & co are excited to announce that French quintet metallers Klone will be playing Roadburn Festival 2016 on Sunday, April 17 at the 013 venue in Tilburg, The Netherlands. The band’s latest, seventh, full-length album Here Comes The Sun, the follow up, to 2012’s Dreamer’s Hideaway, heads in a more progressive direction – Klone excels at pairing prog-rock with atmospheric metal and bringing in a delicate ambience to create an ethereal yet visceral sound. 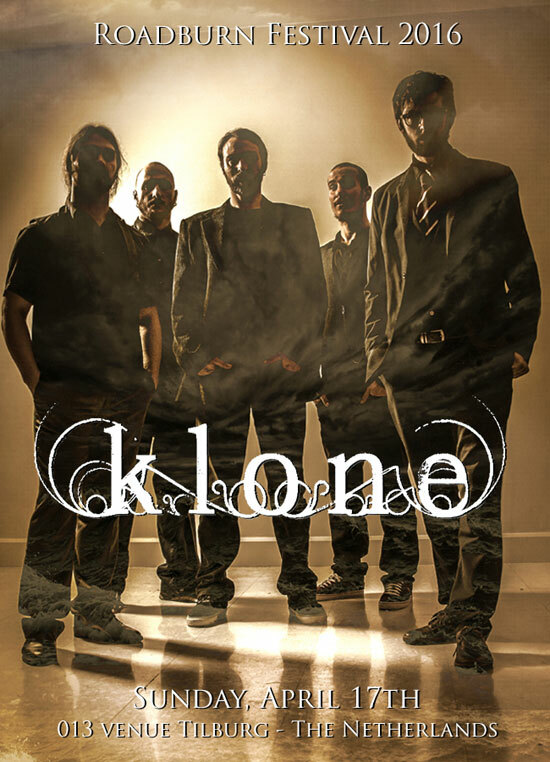 Klone’s transitions between riffs and songs never feel rushed or forced – everything happens at the right time – and for a reason -putting Klone in the vanguard of modern post-prog. The band’s rich, passionate and accessible tapestry is brilliantly executed, and those who enjoyed Opeth and Anathema at previous editions of Roadburn, will be sure to find a new favorite band in Klone. Roadburn Festival takes place between 14 – 17 April 2016 at the 013 venue, in Tilburg, The Netherlands. Tickets will go on sale on Friday, October 2, 2015.